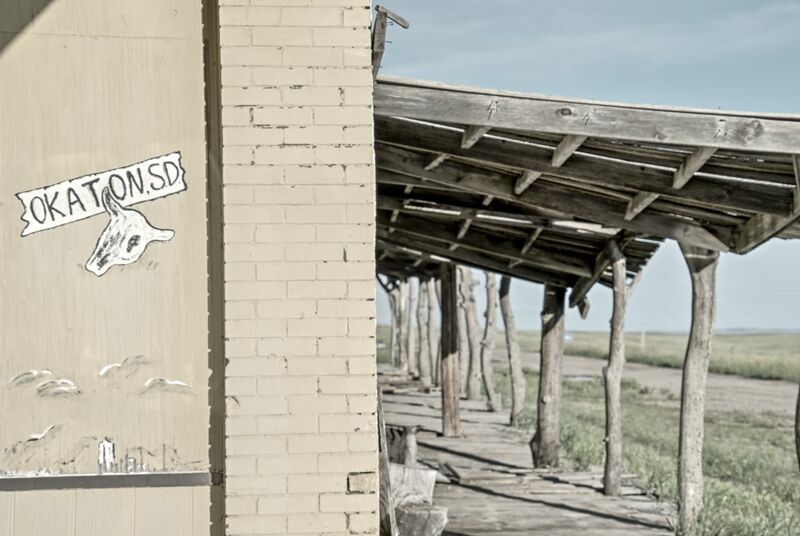 Okaton, South Dakota was once a thriving community of rail workers and pioneer homesteaders. When the rail moved westward, so did the workers. The Great Depression made most of the remaining farmers move to the city looking for any kind of work. Between the railroads closing that particular spur and the interstate highway I-90, the few remaining residents left only a shadow of a town and overgrown rail tracks. When I was in SD, I fell in love with it. The first time I was there it had been a very rain soaked time and everything was so green! It reminded me of my beloved Idaho. However, the flip side was the poverty. I spent most of my time on the Reservation. Mostly Pine Ridge and a little time on Rosebud. 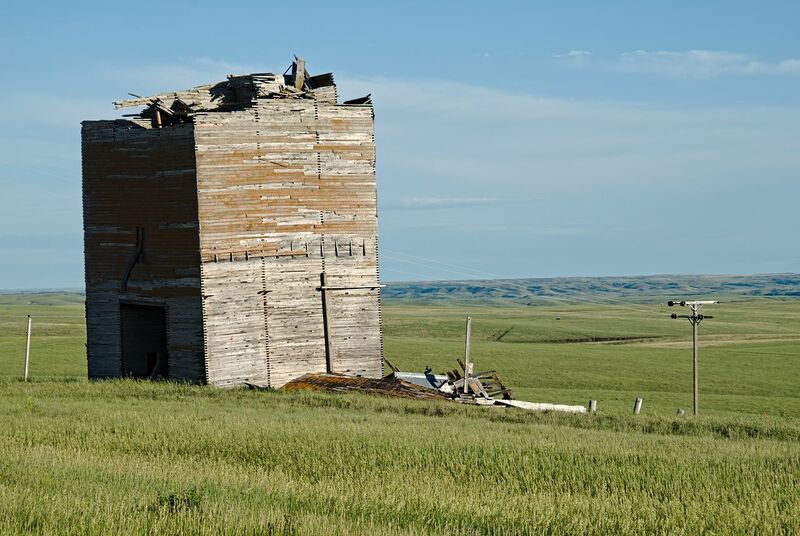 The old buildings you took photos of are very common on The Rez. 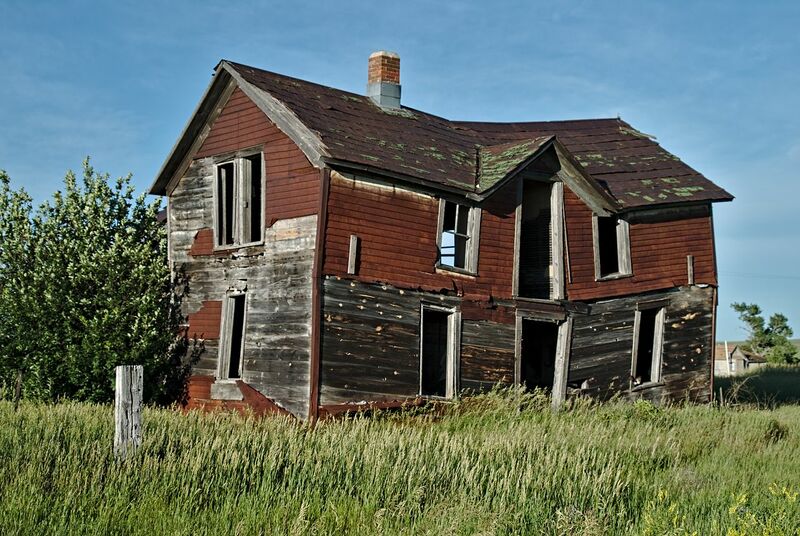 (the reservation as it is commonly referred to) Sadly, the poverty rate is some of the worst in the US. Lots of drinking, drugs, abuse, and suicide. I was there twice, both times for Sundance. Not the movie thing, the Native American ceremony. (I’ll let you do the Googeling) Such an amazing honor to be part of it. With all the poverty and difficulties the people live with every day, during ceremony they come together and celebrate. I’ve driven across country several times and looking at the world as I drive by it always makes me think. What is going on with the folks I am driving past? Are they eating a meal? Watching tv? Working? Loving each other? Driving removes the ability to know these answers. I feel the same way about flying and looking out the window at the land below. Perhaps the old fashioned “walking” from one place to another would allow me to know the secret life of the folks that I probably don’t really need to know their business anyway. But I can imagine all I want to. Deena and Ivan, you guys are living my dream. Keep it up!! Keep sharing it!